We offer professional, affordable hardware and software repairs for computers, Macs, and laptops! Our highly competitive, best-in-sector IT support contracts are designed for local South Yorkshire businesses. We build mobile friendly, search engine ready websites tailored to the unique needs of any business. Whether you’re struggling with a computer that’s broken, slow, or simply needs a service, we can help! 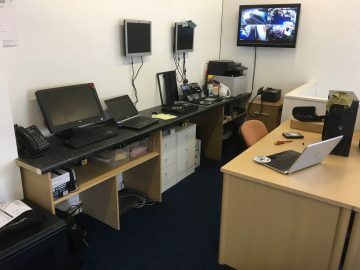 We work from a fully equipped computer repair shop in Barnsley, providing fast, professional, and friendly services such as repairs, upgrades, and setting up new computers for our local clients. Our City and Guilds Level 3 qualified technicians work with PCs, Macs, and laptops, and have a wealth of experience of fixing every common problem – and a few not so common problems too! Learn more about our computer repair services. To succeed in the 21st century, your business needs a website! Not only is it the best way to showcase what you offer to the whole world, but it’s also the ideal way to build an effective brand image. We design and develop unique, stylish, and mobile ready websites using WordPress – the world’s number one content management system. We can integrate a rich array of features, and we’ll support you for the long-term – with hosting, and options for ongoing maintenance and content updates. Most small businesses can’t afford the overheads associated with staffing an in-house IT department. Outsourcing your IT support to our trained professionals means you can enjoy complete peace-of-mind, while freeing up your own time to focus on running your company! We have a number of support contracts available, with options for affordable one-time call-outs, unlimited remote support, or comprehensive on-site support, and we’ll deploy state-of-the-art monitoring technologies to ensure your systems function reliably and securely 24/7. Learn more about our IT support options. We are 100% committed to delivering a professional service for every single client. Whether you’re a big business in need of extensive, long-term IT support, a start-up in need of a new website, or simply a local customer with a broken laptop, you can be confident of receiving friendly, professional, and attentive help at all times. Learn more about us, our values, and how we work. 3) We are Barnsley’s Local Tech Experts! 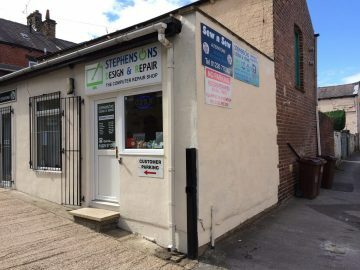 We’re based in Barnsley, and we regularly work with clients from our home town, as well as nearby South Yorkshire towns and cities including Sheffield, Doncaster, and Rotherham. While we’ve always kept a local focus, our digital marketing services are equally suited to businesses based further afield.